The ego self is the unobserved self. If you do not find an objective standing point from which to look back at yourself, you will almost always be egocentric - identified with yourself instead of in relationship with yourself. Most of us have been given no training or practice in this, because it was all negative self-criticism rather than calm self-observation (moral examination of conscience instead of examination of consciousness). Ego is not bad; it is just what takes over when you do not see truthfully and completely. That “lamp” does not illuminate well. …Ironically, the truly destructive part of the negative is exposed and falls away as now unnecessary. To see the negative is to defeat it, for evil relies upon denial and disguise. I think the good news is that, once we begin to relate to ourselves, this frees us up from the defensive ego that we all are for most of our lives, and that once we are free of this defensive ego, we are then able to see the Other… we begin to see people for the first time… we see them not as extensions of our own selves, but as individual beings in their own right. In other words we begin to see God being manifest in the billions of other beings on the planet, most of which are nothing at all like us! 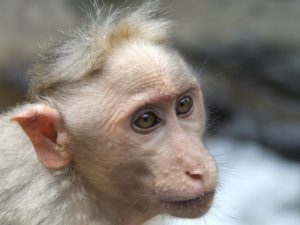 We can be open to them, accept them for who they are and even rejoice in their unique being as another manifestation of God. Since we are now observers of our selves, in relation to ourselves, we can see other selves rather than beings that do nothing more than reflect our own egos back to us. 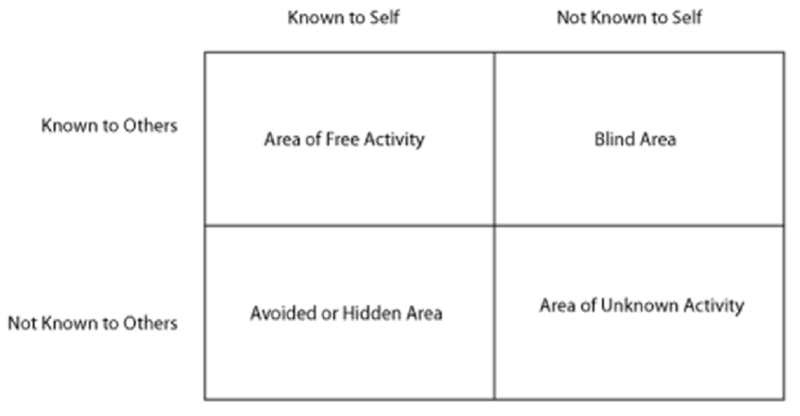 I draw this conclusion through understanding the Johari Window as a model of this process of self-observation. 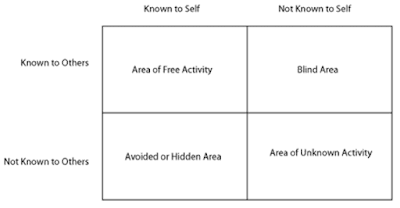 To sum up the Johari Window, it is a model of self- knowledge, which consists of 4 “panes”. Pane 1 contains that which we know about ourselves and is also known by those in our lives (the arena); Pane 2 contains things known to others but not to our self (blind spot); Pane 3 contains those things known to our self but hidden from others (façade); and Pane 4 contains things that are unknown to self and unknown to others. One goal of a CPE program such as the one I am now in is to enlarge Pane 1 as much as realistically possible… become fully known to oneself and to others. We do this because the ultimate goal of CPE is to give one the tools to be able to be fully present to the one you are ministering to, whether they be a parishioner or a patient in a hospital. To be fully present means we have to learn how to keep ourselves from getting in the way. We need to be fully present so we can assess where they are spiritually and therefore know what we can do to help them on their path of spiritual growth. In other words, we have to enter into relationship with ourselves so that we are able to relate to others. In other words, we have to love others as we love ourselves. In other words, we have to see the Truth for the Truth shall set us free. Can I dare say that the very possibility that we can do that is good news? Can I get an amen? Enough is enough. The bishops of the USA rejected a resolution that called on the Vatican to release documents pertaining to the McCarrick scandal. This would have been a resolution that really had no teeth, but nonetheless they rejected it. The Vatican would have continued to thumb their nose at them and all the faithful that are calling for real action and consequences for this mess. I say ALL parishes because while all of this is going on Bishop Patrick McGrath of San Jose was caught asking the diocese to buy a 2.3million dollar home for him to retire in. 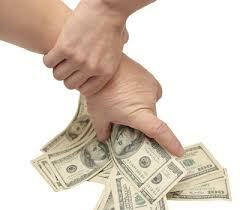 The diocese is currently 217 Million in debt and they are begging for funding for their seminarians. Was this bishop even reprimanded? He should have been stripped of his office at a bare minimum. BUT! No consequences. This current regime of bishops is so corrupt that its hiding and besmirching all the good bishops, if in fact there are any left. I for one am DONE funding this BS. I don't have much to give, but what little I can give is not going to go to this kind of evil. Maybe McGrath and the rest can retire and go work for the Democratic National Committee... they seem really at home there and that's where their hearts seem to reside anyway. One of the most vexing issues facing ministers in the Church is the pastoral impact of the debates raging in our media and schools over the implications of evolution for those of us who believe that God created "the heavens and the earth" which includes human kind. At the heart of this vexation lies a very critical and fundamental issue: The nature of sacred doctrine and how it relates to the disciplines of science. There probably isn't a better thinker to turn to for this issue than St. Thomas Aquinas. 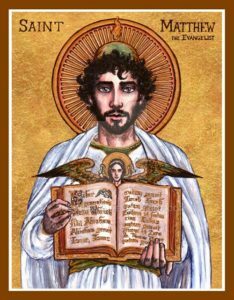 At the very beginning of his Summa Theologica, he lays the foundation for the study of sacred doctrine and its relationship to the rest of the sciences. We will begin with a careful look at Aquinas' starting point and then see how it might be applied to some scientific issues which have seemed to conflict with sacred doctrine. As I argued in my article The Church and the Cosmological Revolution, the opposition by the Catholic Church to Galileo and the cosmological revolution in general, was due to a pastoral concern. To summarize my argument, the news that the Earth was NOT the center of the universe shattered the common understanding of how everything was put together. 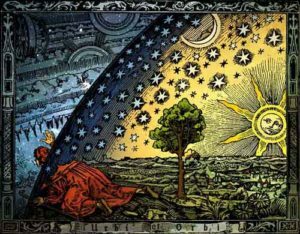 In that understanding, the new vision of the sun at the center of the universe and Earth as one body among many that circled the sun was tantamount to saying that there was no God. The church leaders knew very well that such a radical change in world views would leave the vast majority of believers without a framework for understanding who God was and where we stood in relation to God. They may not have articulated it quite this way, but they understood the threat. It would take a very long time for theologians to articulate an understanding of God within this new vision… and in fact, to this day the struggle to do so continues. It’s not only the Catholic Church nor even Christianity that struggles with the new vision… many religions are still going through the same struggle. The modern day version of this struggle is being played out in the so-called “Intelligent Design” debate.